While I tend to enjoy almost all of Iron Bonehead’s releases, this one was both a surprise and a revelation. From the opening seconds of “The Heartbeat’s Drum” to the closing motif of “Burial Ground Trance” these two Fins had me spellbound. 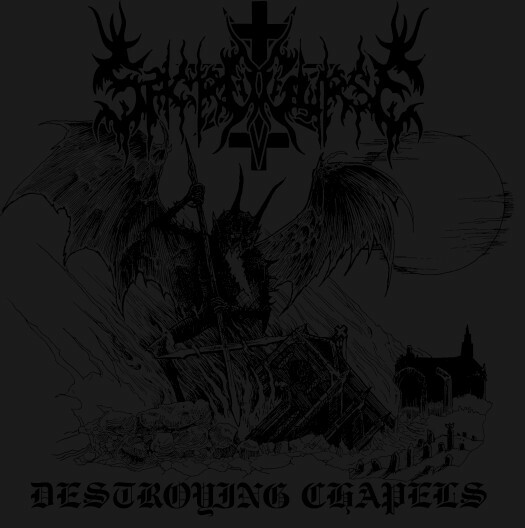 Much like Sworn to the Dark era Watain, Celestial Grave inject a keen sense of melody and song craft into their art without sacrificing any of the atmosphere or grit black metal requires. 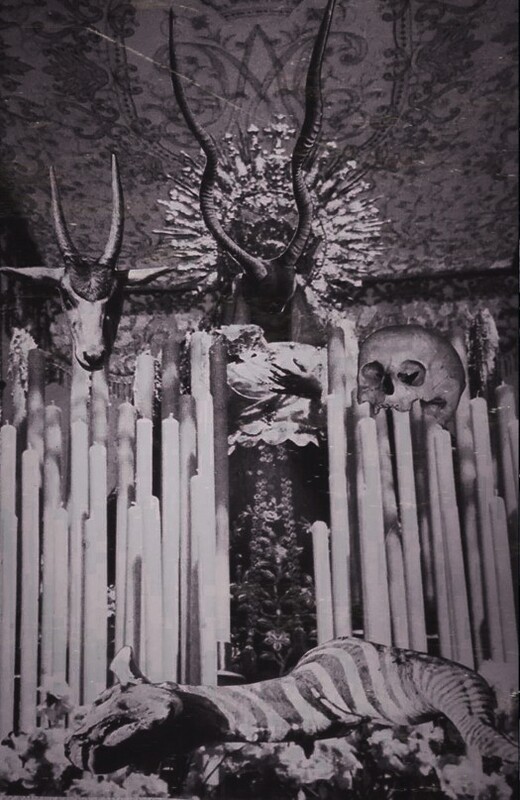 Like Bolzer did for black/death metal, Celestial grave have taken the base components of black metal, stirred them up and manifested their own unique concoction. They have managed the rare feat of creating something familiar that still feels completely fresh and new. The spectacular guitar work is the real star here as the band deftly blends more traditional tremolo riffing with grooving melodies and soaring leads creating an intensely emotional and powerful backdrop. I also get hints of the brilliance on Nachtmystium’s Instinct Decay as Celestial Grave is unafraid to expand their sonic palate beyond the standard sounds of traditional black metal. Each of these three tracks takes you on a wondrous and unique journey into the darkness. If you pick up only one of these albums from Iron Bonehead, do yourself a favor and make it this one as this is easily one of the best black metal demo releases of the year. Comprised of members Ill Omen, Naxul, Grave Upheaval, and Vassafor this was always going to fall well within Iron Bonehead’s wheelhouse. While I usually don’t like the featuring members of review, it’s important to mention here as the music Temple Nightside produce really is a conflagration of those influences. Temple Nightside’s earlier more black metal releases were all solid if not ultimately forgettable. This time around they have embraced the blackened death metal trend that has popped up in the last few years. Good news is they do it well and with enough of their own style to stand out from the crowd. While the vocals definitely fall within the ‘recorded in a distant cave sound’, they have taken a much cleaner approach to their instrumental attack, allowing their crushing, miasmic dirges to really sink their claws in from the first listen. 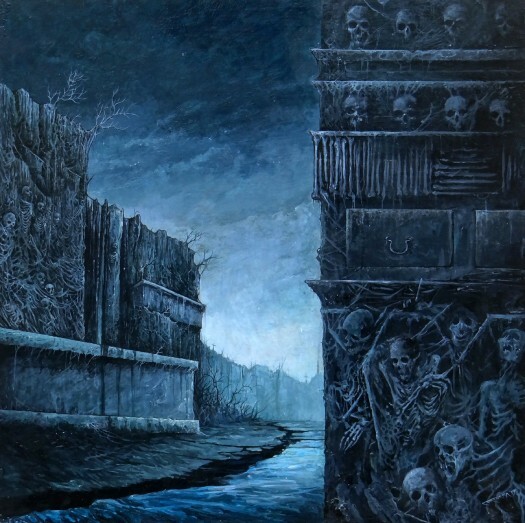 This type of black/death metal lives and dies by its atmosphere, which Temple Nightside unsurprisingly nail with their ponderous, dismal hymns. The funeral doom of Ill Omen’s most recent album also flows through The Hecatomb as the band tap into the same dismal mood and effectively utilize more drawn out tempos to heighten the oppressive nature of the album. If you aren’t a fan of this style of cavernous black death, The Hecatomb is unlikely to convert you. But if you like your death metal dragged through the stygian darkness, this is worth checking out. Offering up a far more visceral and barbaric take on black/death is Mexico’s Sacrocurse. If there was ever any doubts about why this style is referred to as war metal, they are shattered as soon as you press play. You won’t find anything nice or pretty on this unrelenting, sonic assault. It’s riff after bludgeoning riff delivered over LZ’s blazing inferno of blasts with the occasional dive-bombing solo thrown in to enhance the album’s chaotic nature. ZK’s hate filled, satanic barking ensures that no enemies are left standing and no prisoners are taken. But what really helps Sacrocurse stand out from the pack on Destroying Chapels is their ability to sneak in some seriously catchy riffs within the chaos. Take opener “Total Devastation” for example, which kicks off with a maelstrom of traditional war metal riffing before dropping into a swarming solo that soon makes way for a grooving riff that wouldn’t be out of place on a Bolt Thrower record. And they do this without sacrificing any of the feral nature of their aural onslaught. Little flourishes like this help ensure that each song stands out and that Sacrocurse doesn’t fall into the trap many lesser war metal bands do of turning the EP into an indiscernible mess of noise. If you dig bands like Black Witchery, Bestial Raids or Nechbeyth this will be a great addition to your collection. very good record selection from that label, thank you! the music is fantastic! do we know more about their political agenda, if there is anything? u can read discussions in German antifascist newsblogs about the shops owner and his political past, I guess mostly not more than vague brainfarts. though I am spotting some nsbm-records in his e-shop right now. Glad you enjoyed the piece and the selections. I am not personally aware of any reprehensible comments the owner has made, but the label overall is definitely divorced from any specific political ideology. I can also assure that the bands covered in this piece have no NSBM themes running through them.